Barkha Jasani, the Director of Engineering at Quadrant, talks about the evolving tech world and how technologies like blockchain can be applied to HR functions. Barkha Jasani is an IT professional with over a decade of experience in multiple facets of IT - Full Stack Engineering, Architecting Solutions, DevOps, and most recently blockchain. Based in Singapore, she is currently Director of Engineering at Quadrant, a data platform using blockchain to offer cutting-edge verification and mapping solutions to organizations. At Quadrant, Barkha currently leads the dev team in implementing technological solutions that meet the needs of Quadrant’s customers and potential partners. 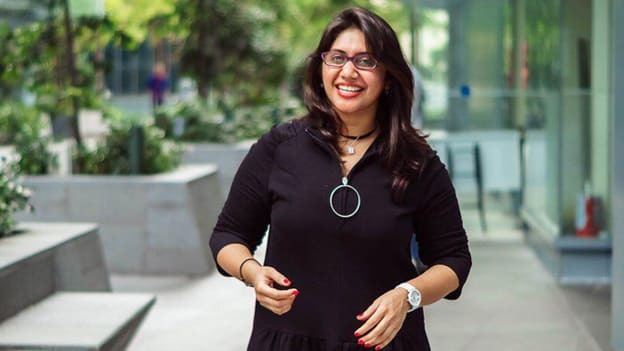 In an interaction with People Matters, Barkha talks about the evolving tech world and how technologies like blockchain can be applied to the HR function. Why did you choose to work in the field of IT? I have always been interested in technology. However, it was far from inevitable that I would go into this line of work. I was born and raised in a small town in Gujarat, India, far from the major IT hubs that are so famous and many women like me would typically go into more administrative jobs or stay home and start a family. In my town itself, there were very few IT companies and most of the engineers and developers who worked there were male. Even my parents urged me to go down a different line of work! However, I enrolled in Atmiya Institute of Technology & Science (affiliated with Saurashtra University) to study Computer Engineering. It turned out that I was one of only 15 females out of a class of 50! But I loved my time there and learned so much, including coding and the complexities of computing and technology. After the completion of my course, I joined one of the few IT firms in my town, and the rest is history! What were the biggest challenges entering the world of tech? I think one of the biggest learning curves for me was when I started assuming leadership roles. When I started off my career I was at the lowest rung of the ladder, earning the equivalent of SGD60 per month and being a ‘small cog in the wheel’ of the company. However, I quickly started rising up and within five years I was leading teams and had responsibility for entire projects. This also meant I had to manage teams and be a leader, something that I was not initially used to. It took some time for me to get used to this and while the vast majority of those who worked under me were excellent team members. There are always individuals who are harder to manage. I learned very quickly that I needed to be fair, but also firm and I could not be everyone’s friend all the time. I would say that a very welcome challenge that the world of tech offers is the fact that technology is evolving so quickly and we constantly need to stay up to date. I have been working with the company for around four years and from the very beginning, I was given a lot of freedom by the CEO to innovate, which allowed me to build the original data exchange platform and commercialize it. We then realized that there was an issue with data authenticity in the industry, so I led the development of the Blockchain technology behind the Quadrant platform that enables data to be authenticated at its source. I also led the tech side of an Initial Coin Offering (ICO) which took place earlier last year. This meant I and the team needed to quickly get up to speed with crypto, understanding exactly how it works and executing a successful ICO. It was a great experience for all of us and really opened our eyes to the power and benefits of Blockchain. What was the experience like leading teams, especially in an industry that is predominantly male-dominated? In India there are many females in leadership positions in the tech industry, however, I would say they are concentrated mostly in the major cities and tech hubs. Even in my own town in Gujarat, I don’t more females holding leadership positions. In fact, there are fewer women in the tech industry. So, there were certainly things I had to learn especially when dealing with individuals who were not used to being led by a woman. Patience was one thing I quickly learned. I came to the realization that things won’t happen overnight, and I couldn’t just click my fingers and make things happen. I learned how to communicate better and articulate my thoughts and requests clearly and in a manner that could be understood. In Singapore, my time here has been a dream. The office at Quadrant is very diverse, with many different ethnicities and nationalities, from Singaporean, Indian and Australian to Canadian and Chinese. People here are much more used to working in a multicultural environment just by the nature of Singapore itself. So it has been a real pleasure leading this team. Additionally, there are other things in Singapore that I am really attracted to, such as its creativity and cleanliness. It is an amazing place for startups with so many business opportunities and plenty of trending technologies, events and networking opportunities. Lastly, I love the local dialect, ‘Singlish’, although I have yet to master it! In which areas of HR can blockchain be utilized and how? Blockchain is a game-changing technology and can be applied to so many things including HR. One useful application is in preventing degree and certification fraud. Educational institutions can implement blockchain-based authentication technology, creating a digital signature for every legitimate degree or certification they award to their students. This means that employers are able to check candidates’ credentials against the institution’s database and know that the credentials are genuine (or fake, should the signature not match). Furthermore, larger companies especially like to perform employee votes on a range of matters. Blockchain can allow this to happen quickly, easily and anonymously. Additionally, they can effectively utilize blockchain apps for payroll to reduce the administrative burden while allowing them to focus more on serving customers and growing their businesses. Lastly, I see blockchain helping with cross-border payments. Multinational businesses can introduce their own corporate currencies to transfer value across their business globally and transact with international employees and their supply chains, free of the friction and costs of third-party reconciliation, later convertibility into “official/fiat” currencies can be supported over time. These are a few examples, but I am sure there are many more. How can people who are not from this background learn some basics of blockchain and be able to make most of it in their own domain? I recommend those who are new to blockchain can start watching YouTube videos to learn the basics of Distributed Ledger Technology (DLT), enrolling in some good blockchain courses, attending Blockchain meetups, reading the whitepapers of strong blockchain projects, and understand strong use cases and problems solved by blockchain technology. Once they are familiar with the fundamentals of blockchain, they can start evaluating their use cases based on the existing strong use cases solved by blockchain. This will answer their question ‘Do I really need blockchain to solve my use cases?’ Strong understanding on this can lead them to make most of it in their own domain.